Topaz carries a complete line of Mechanical Lugs fabricated from strong and long-lasting aluminum that provide maximum conductivity in a compact and efficient design. Available in a variety of assemblies for multiple applications. Single hole, aluminum lug models have a temperature rating of 90 degrees Celsius and a recommended torque of up to 600 lbs. 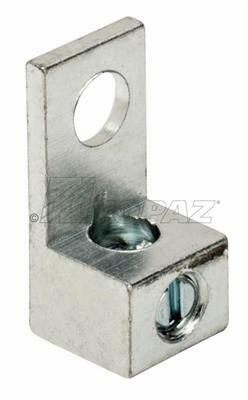 Provides positive grounding points in load centers or other metal enclosures. All models UL listed and confidently backed by the Topaz lifetime guarantee.